We’re making your Monday morning a little tastier! 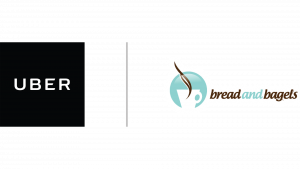 We’ve partnered up with Bread & Bagels to deliver breakfast right to your home or office—at the tap of an app. Breakfast includes 1 zaatar and tomato bagel, 1 halloumi pesto bagel and chocolate brownie treats. Yes, plenty of food to share! Demand will be high. If you are unable to request, give it a few minutes and try again.